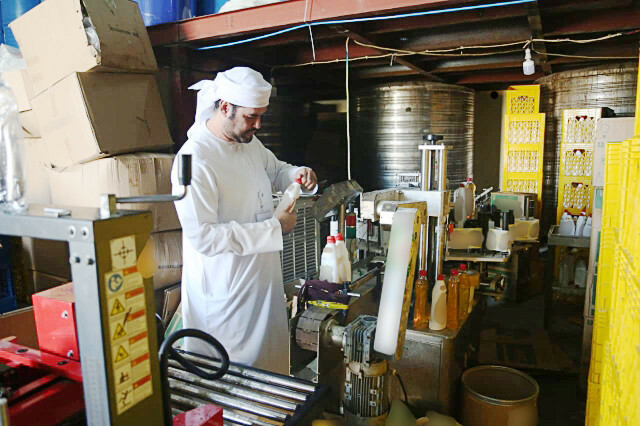 Sharjah: More than 12,000 counterfeit products worth almost Dh25,000 were seized from two warehouses in Al Saja’a by the Sharjah Economic Development Department in cooperation with Sharjah Police. The fake products included household detergent and disinfectants plus packaging and labelling machines. Consumers are urged to contact the department’s call centre on 80080000, visit ww.shjconsumer.ae or download the SEDD App if they accidentally purchase a counterfeit product.